Nagano Prefecture is a beautiful region located in the middle of Japan’s Honshu Island. Known for its dreamlike wintery landscapes and challenging peaks, this mountainous area was chosen to host the 1998 Winter Olympics and is still a popular destination for skiers and other outdoor enthusiasts today. Though the pristine snow-covered slopes are the standout attraction during the winter season, Nagano Japan has plenty to offer year-round. The stunning mountain vistas are unlike anything else you would encounter while travelling in Japan. Don’t miss out on the natural beauty of this incredible region. By Train: Nagano Japan is connected to Tokyo by Shinkansen making the trip quick and easy. A one-way trip on the Hokuriku Shinkansen will just take you 80-100 minutes, and the trains from Tokyo station depart several times per hour. Tickets cost around 8,000 yen. By Bus: A cheaper option is to go by bus, although the journey on four wheels will cost you a few extra hours. The trip takes about 3.5 hours from Tokyo. However, the time you spend on the highway bus allows you to appreciate the spectacular landscape along the way. Discount tickets from Willer Express start at around 2,000 yen one-way. Where to stay in Nagano? Why guests love it: This cozy accommodation is conveniently located 20 minutes from Nagano Station and just 1 minute from Zenkoji Temple. Dot Hostel is a recently renovated 100-year-old Japanese building, so you can experience traditional Japanese culture in a modern environment. 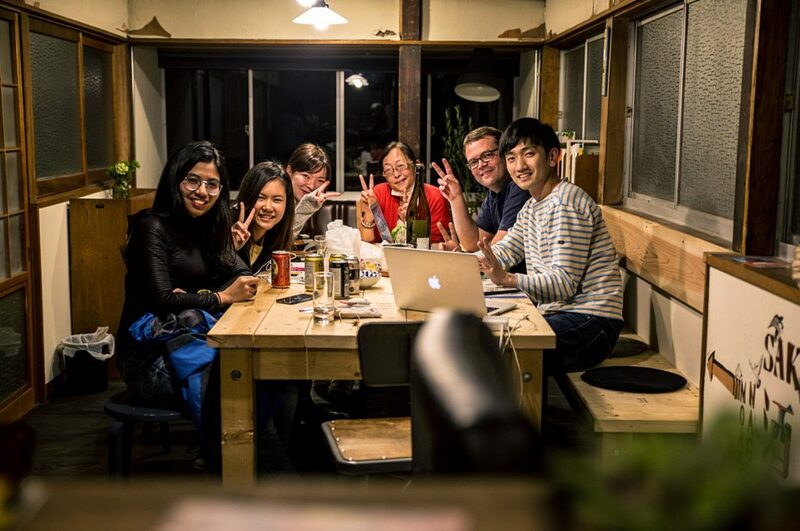 The common room is a great place to meet other travelers and refine your itinerary for travelling in Nagano, Japan. 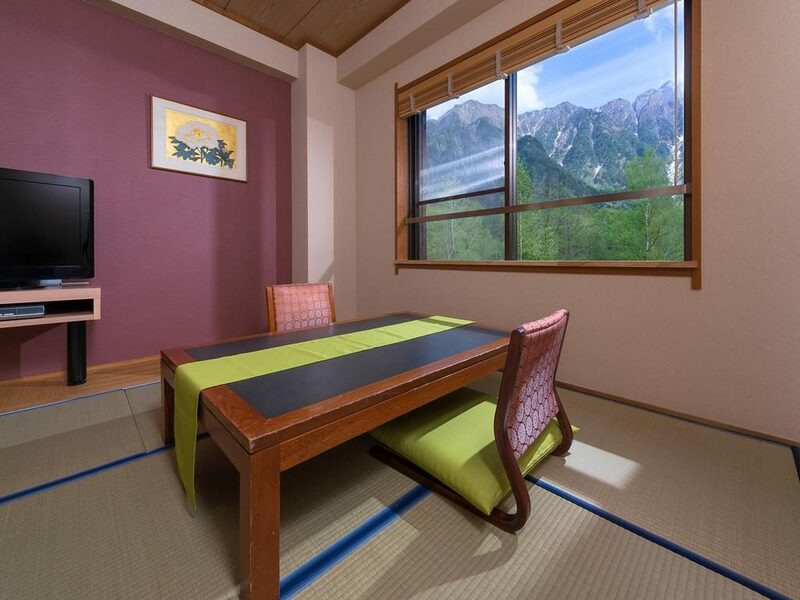 Why guests love it: The Kamikochi Lemeiesta Hotel is a great place to stay while exploring the stunning scenery around Kamikochi in Nagano, Japan. This hotel offers delicious meals, amazing views, comfortable western style rooms and fantastic service. In line with the area’s natural, rustic aesthetic, Kamikochi Imperial Hotel was built in the style of a log cabin, fitting for a secluded mountain resort. Why guests love it: Oshi Ryokan is a traditional Japanese Ryokan located in the beautiful mountains of Nagano Japan. 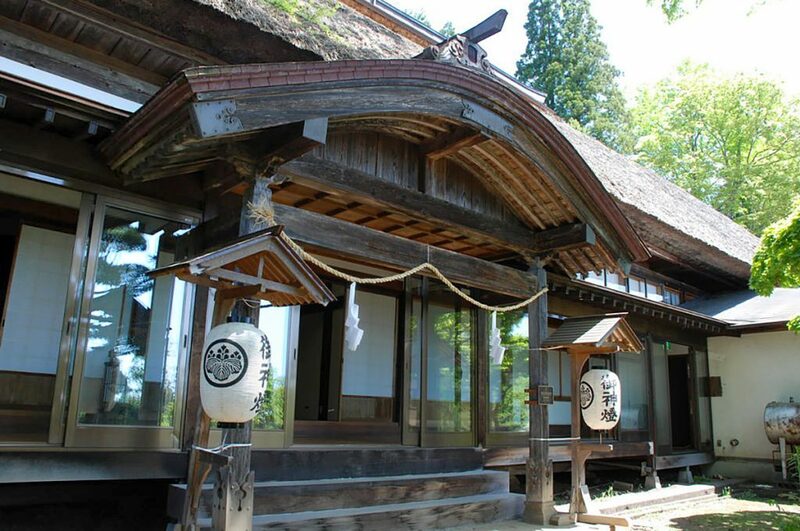 As it is located only 5 minutes away on foot from the historic Togakushi Shrine, this 250-year-old building maintains its traditional Japanese architecture. Here you can feel like a Japanese monk living on the premises of a real Japanese temple or shrine. It is located just 15 minutes away from the Togakushi Ski Resort and 50 minutes away from Nagano Station by bus. What to eat in Nagano? 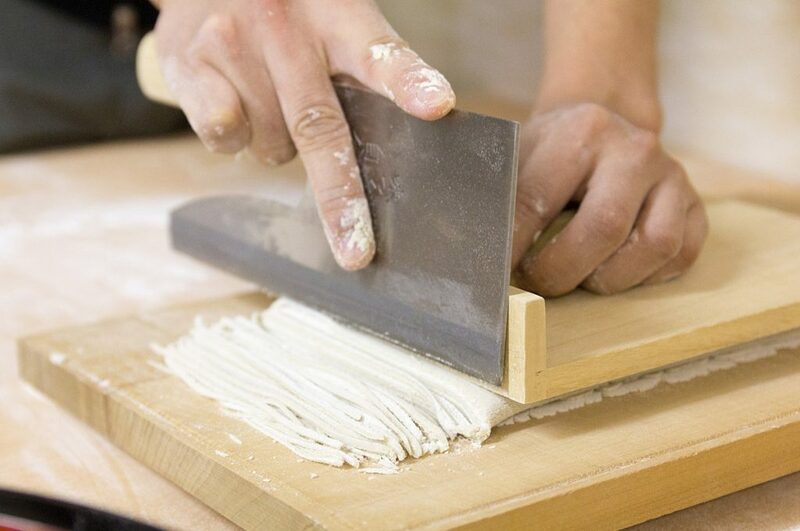 Nagano is well known for its delightfully slurp-able soba noodles. The cool, elevated mountains of Nagano are great for growing buckwheat, the key ingredient of the noodles. One of the traditional ways people like to enjoy soba in Nagano Japan is by dipping the noodles with a bamboo strainer into a hot, light broth filled with local vegetables. This is called Toji soba. Enjoy your meals with some fresh Nagano wasabi from Japan’s largest wasabi farm. The people of Nagano are very proud of their wasabi, apparent from its inclusion of Japanese wasabi in many sweets, like ice cream or even wine. Street vendors sell the local delicacies of Nagano on just about every major street. The smells are irresistible as you walk by. 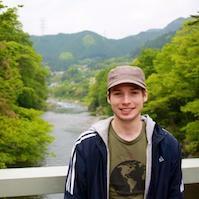 What to do in Nagano? 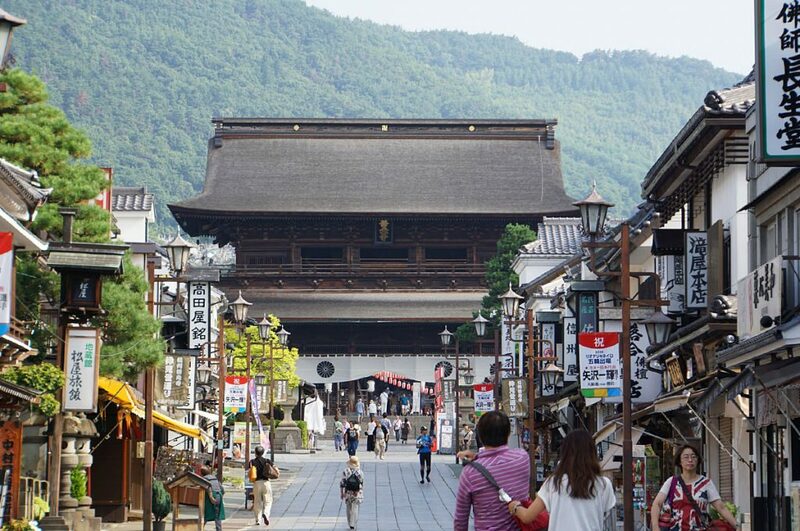 For a good dose of Japanese, visit Zenkoji Temple in Nagano. This historic temple is home to the very first Buddha statue that was brought to Japan. In a way, Nagano is a very religious town historically as it was developed around this major Buddhist temple. Zenkoji has many incredible structures to admire as you make your way around the grounds—like the Sanmon Gate and Niomon Gate. There is also an underground passage you can explore completely in the dark. If you persevere, you may find the “key to paradise” which is attached to the wall somewhere. Touching it is believed to bring you salvation. The Temple is located in the center of Nagano City. To get there, take a 10-minute bus ride from JR Nagano Station. Alternatively, you could take a short train ride from the station to Zenkojishita Station and walk to the temple in less that 10 minutes. 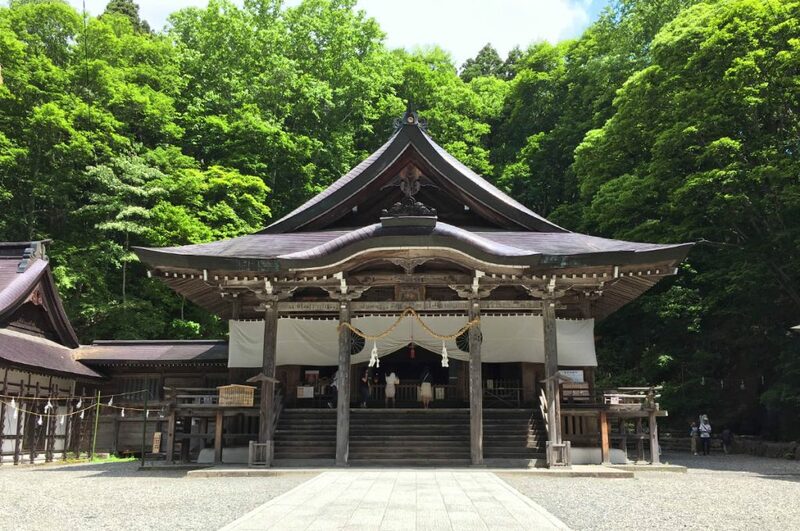 Togakushi Shrine, a place of worship for the Shinto religion, is another culturally significant site worth seeing in Nagano. As the story goes, the shrine gets its name, Togakushi (“hidden door”) from a time when the deities worked together to lure the sun goddess out of hiding and throw away the door. 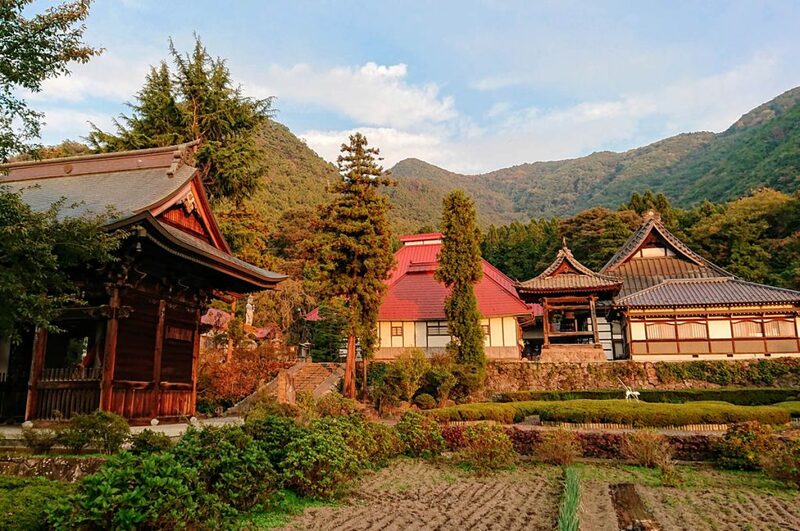 Of course, the legend is much more complicated than that, and you can learn all about it in great detail when you visit the three main shrines of Togakushi. The number 70 or 71 bus can take you to Togakushi Shrine in about 1 hour. One-way tickets start from 1,150 yen, but discounted round-trip tickets are also available from 2,100 yen. Although it’s a bit out of the way, you will be rewarded for your journey with stunning nature and fascinating Japanese culture. Although ninjas strive to remain out of sight, the Togakura Ninpo Museum is a must-see for fans of Japanese culture and history. Located in the northeastern side of Nagano City, this historic ninja school is worth a visit after you visit the nearby Togakushi Shrine. 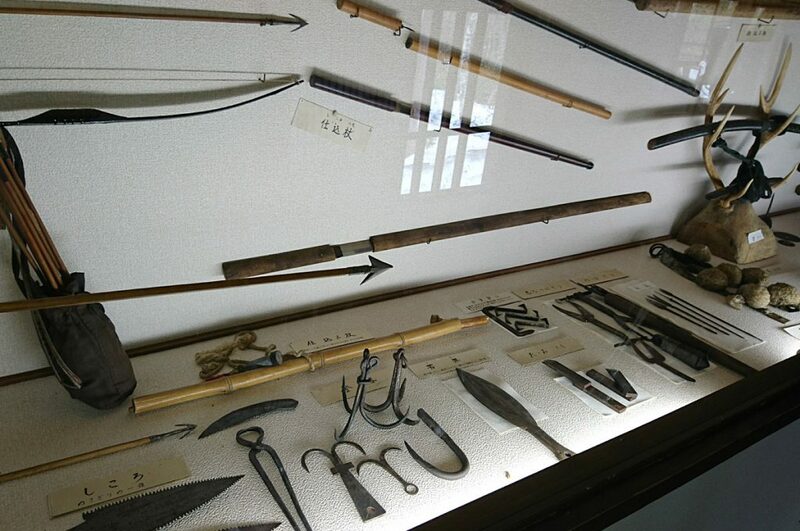 Learn about how real ninjas lived and studied at this entertaining museum. Many real artifacts from Japanese ninjas are display, and you can explore a ninja house with many secret passages and trapdoors. The museum is closed from mid-November to mid-April. Togakura Ninpo Museum is located in the same area as Togakushi Shrine, so you can use the same bus from Nagano Station to reach it. If you plan on including this stop as part of your trip to the shrine, consider buying the Togakushi Kogen Free Kippu ticket for 2,600 yen. 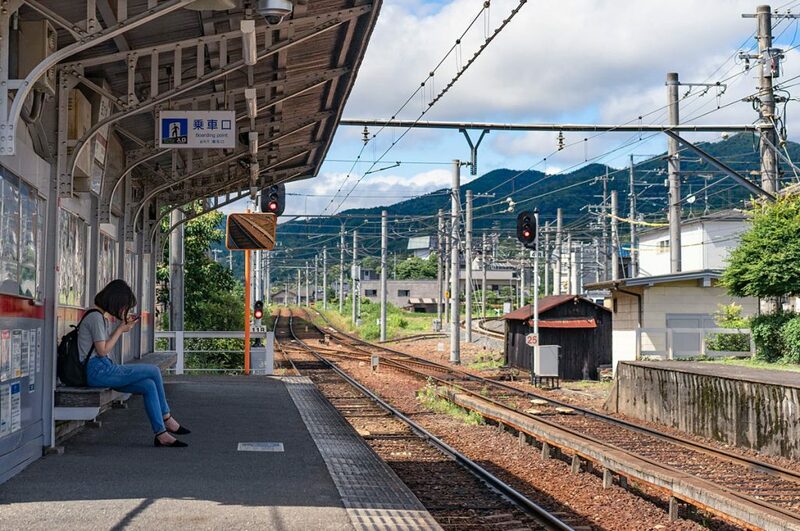 This includes a round-trip to and from Nagano, free use of the busses in the Togakushi area and a free bus ride from Nagano Station to Zenkoji. 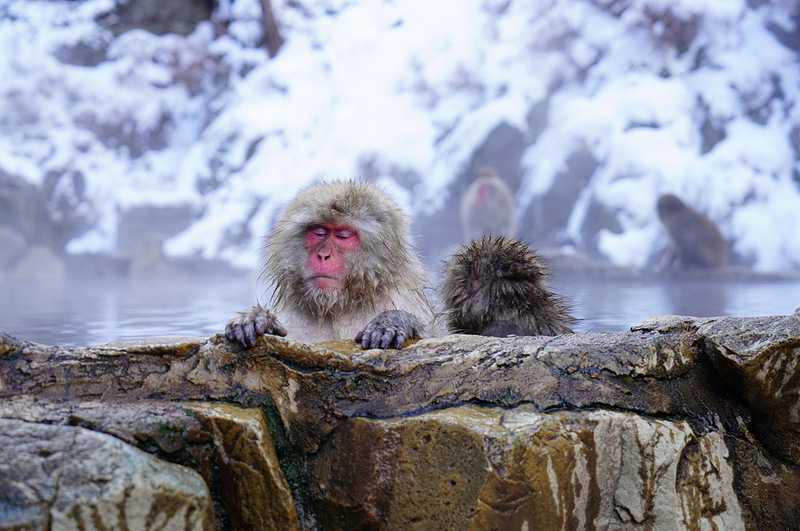 In winter, as the snow begins to fall, many monkeys living in the mountainous region of Nagano Japan seek warmth in the many natural hot springs in the area. 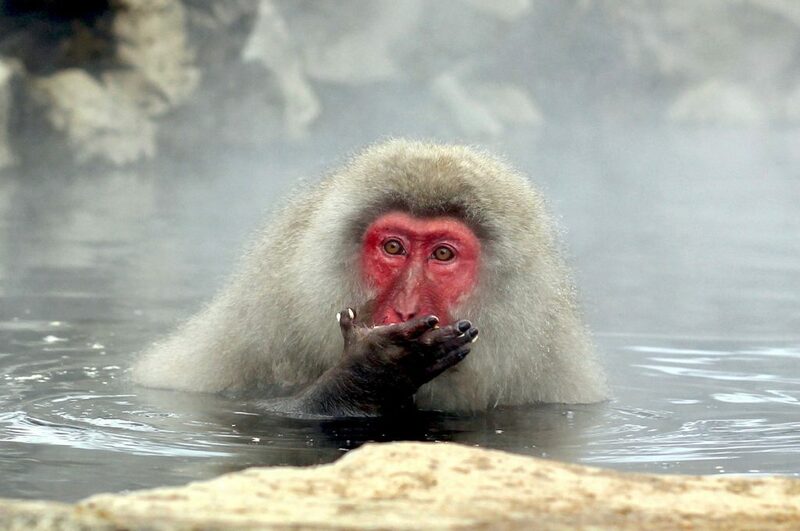 One of the best places to see these comfortable primates soaking in the naturally heated water is Jigokudani Yaen-Koen. Watch as they lazily crawl in and out of the hot springs and play in the snow. They are so used to visitors that they will literally walk right by you, so it’s a great opportunity to see Japanese wildlife up close. You may even feel like taking a soothing dip in the hot springs yourself. For more on that, check out our article on Japanese Hot Springs. To get to Jigokudani from Nagano station, take the Nagano Dentetsu Line to Yudanaka Station. The ride takes about 50 minutes. From Yudanaka Station the entrance of the park is about 10 minutes away by bus. Many signs are available to point you in the right direction. You will have to walk from the bus stop for about 30 minutes to reach the area where the snow monkeys bathe, so be sure to wear proper clothes for hiking—especially in winter. 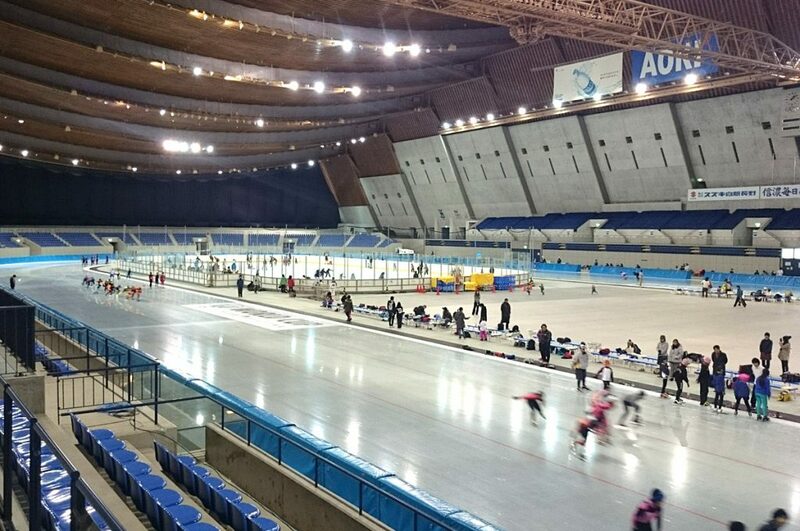 For sports fans, the Olympic facilities in Nagano City are an exciting place to visit. The massive structures built for the 1998 Olympic and Paralympic Winter Games include the M-Wave, Olympic Station, White Ring and Big Hat. The facilities today have been repurposed as sports stadiums and museums, but they still maintain the grandness and dignity they presented to the world back in 1998. The Olympic facilities are scattered throughout the city of Nagano. However, it is possible to see them all by bus. If you only have time to visit one, I recommend the M-Wave building which houses the nostalgic Nagano Olympic Museum among many other attractions like the free Memorial Skating Rink—open from October to March. To get to M-Wave take a local Nagano Dentetsu bus bound for Suzaka and Yashima. Then get off at the M-Wave-mae bus stop. Hakuba Valley is one of Japan’s top ski resort areas, it is also the largest in the country. With its incredible slopes and fresh powder snow, it is no wonder that Hakuba was chosen to host the ski and snowboard courses for the 1998 Olympic Games. The area actually is made up of 9 fantastic ski resorts—with slopes available for all levels of skiers and snowboarders. Rentals are available at the resorts. To get to Hakuba, you only need to take the shinkansen from Tokyo to Nagano for about 3 hours. Tickets cost about 10,000 yen. When you get to Nagano Station, go to bus stop #26 and take the bus bound for Hakuba. The bus ride costs about 1,800 yen. 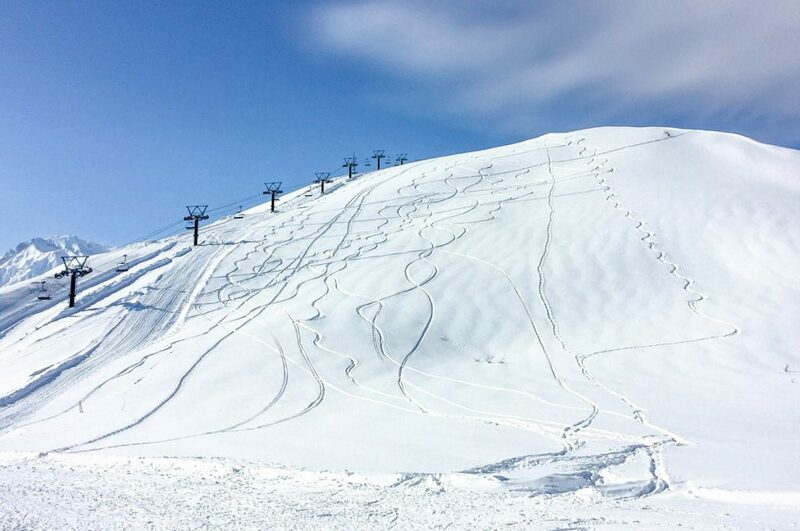 To fully enjoy the slopes, get an all mountain ticket that grants you access to the lifts of 8 resorts in the area. Hokusai is one of Japan’s most famous artists. His series of paintings featuring Mount Fuji—including the beloved The Great Wave off Kanagawa—is known around the world. His impressive works can be admired by visitors of the Hokusaikan in Obuse, Nagano where he spent the later years of his life. 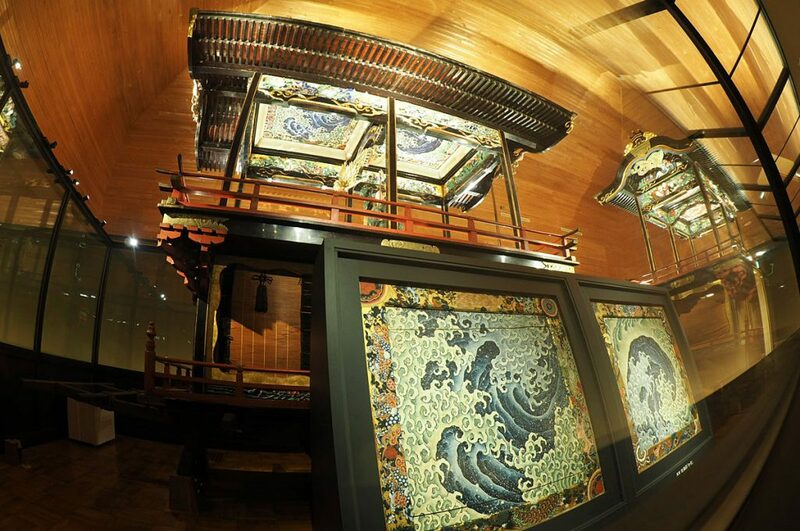 It is an important place for fans of tradition Japanese wood block print and Japanese culture. To get to Hokusaikan from Nagano Station, take the Nagano Dentetsu Nagano Line to Obuse Station. From there it is about a 12-minute walk. Not far from Hokusaikan is another place to appreciate some of Hokusai’s amazing work—Ganshoin Temple. This remote Buddhist temple in the rural town of Obuse is home to Hokusai’s incredible ceiling painting Ho-O Staring in Eight Directions. Amazingly, the famous artist created this brilliant phoenix painting when he was 89 years old, proving that he never lost his touch in old age. Ganshoin Temple is just 2 kilometers from Obuse Station. It’s easy to walk between here and Hokusaikan. The helpful staff and the museum would be happy to point you in the right direction. The temple is closed from December 28 to January 4 during the new year holiday. Matsumoto is Nagano Prefecture’s second largest city. It is famous for its beautiful castle, Matsumotojo, which is considered an original castle. 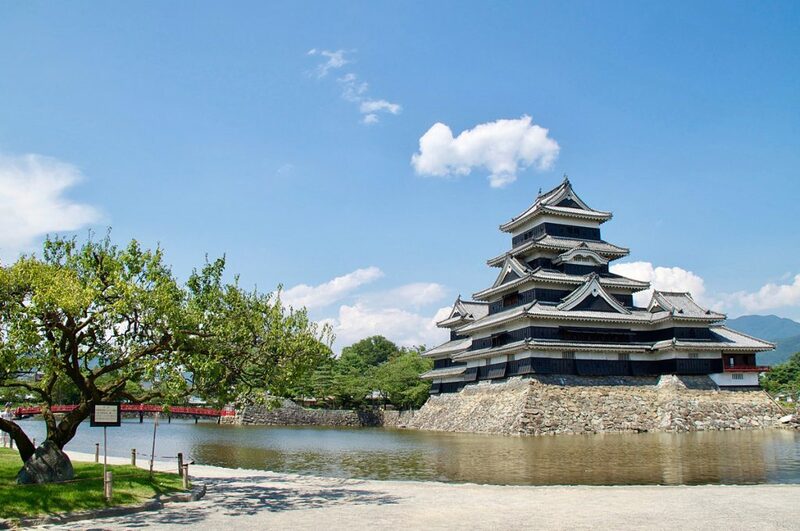 Though there is plenty to do in Matsumoto, the castle is the main attraction. Matsumoto Castle is unique among other Japanese castles being built on a flat plain rather than a hilltop. Its striking dark colors against the blue sky and white-topped mountains in the background make it one of the most photogenic castles in Japan. As it is such a popular castle, be prepared to wait in line to enter. To get to Matsumoto City from Tokyo, you can take the JR Ltd. Exp. Super Azusa train from Shinjuku station. The ride takes about 2.5 hours and costs 6,380 yen. You can also take an Alpico Group express bus from Shinjuku Station. Tickets for the bus start from 3,500 yen, but the trip will cost you a little over 3 hours. If you are planning on spending more time in southern side of Nagano Prefecture, then Matsumoto City may better serve you as a base of exploration. Kamikochi is one of the most beautiful mountain resorts in Japan. Though it’s on the southwestern edge of Nagano Prefecture and is only accessible by bus, this majestic region is well-worth a visit. 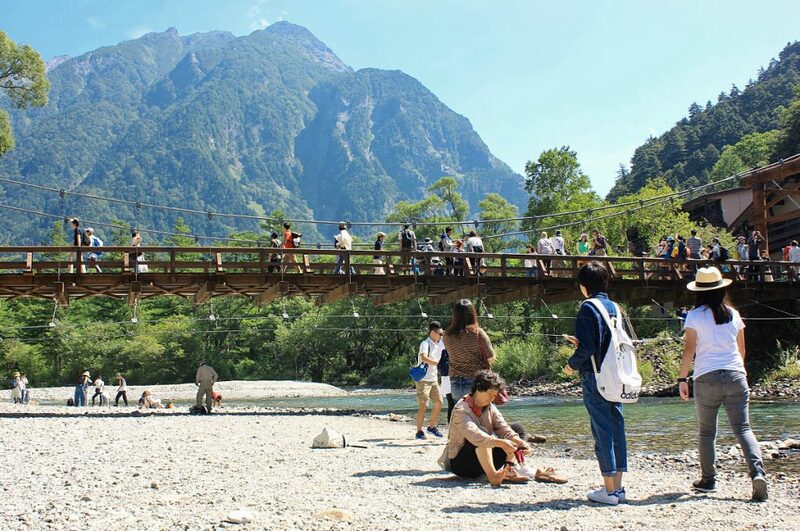 Full 2-day passes for busses and trains in the area are available from the Alpico Group for just 6,000 yen, and it will take you to all of the major sightseeing spots in Kamikochi. Kamikochi, Norikura Highlands, Shirahone Hot Springs and Matsumoto Castle are among some of the popular locations available through the bus pass. Experience the northern Japanese Alps in all their glory at Kamikochi. To get there, you can take a direct bus from Shinjuku, Tokyo. The ride takes about 5 to 7 hours and costs around 5,000 yen. From Matsumoto it is much shorter, so it may be good to travel to Nagano Prefecture by Shinkansen and explore other places in Nagano before making your way to Kamikochi. From Matsumoto Station, take the train to Shin-Shimashima Station for 30 minutes. Then take a 60-minute bus ride bound for Kamikochi. For more information about Kamikochi, check out our article here. Depending on your itinerary and how much time you are planning to spend in Nagano Prefecture, you can choose either Nagano City or Matsumoto as a launching point for your adventures. From the highest peaks to the lowest valleys, this region is filled with spectacular views and unforgettable attractions. If you’ve been to Nagano share it on our Facebook group. 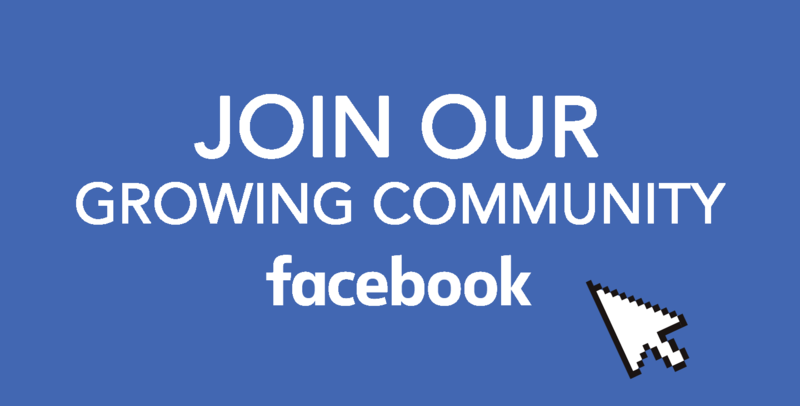 Follow us on Facebook, Instagram, and Pinterest for new fun stuff about Japan every time.